Pegboard - I bought mine at a local hardware store, but I can't remember how much it was. Peg hooks - I bought THIS which came with plenty of hooks for my needs. CHALKBOARD PAINT and roller - Since you won't need a full can, this is a great project for any leftover chalkboard paint you have sitting around. First things first, paint the pegboard according to the directions. I used two coats. For the hand lettering, THIS TUTORIAL was incredibly useful. 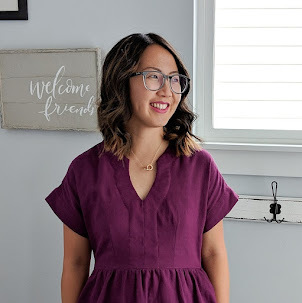 Definitely go over there and read all her tips and tricks on chalkboard drawing before beginning. The template I used was a mix of fonts printed onto cardstock and then transferred onto the chalkboard after I seasoned it. The rest of the design, like the banners, were done by hand based on the design I had drawn out first. I actually completed the whole board in about an hour on the floor of the craft show. It was right before they opened and I knew the hand lettering would be worth the effort. Before that, it was just a plain chalkboard pegboard with my original idea falling through. Something that I found absolutely necessary was having clean water. I brought a water bottle that I was able to get clean water from and it was especially important when I was fixing some rough spots with the Q-tips. 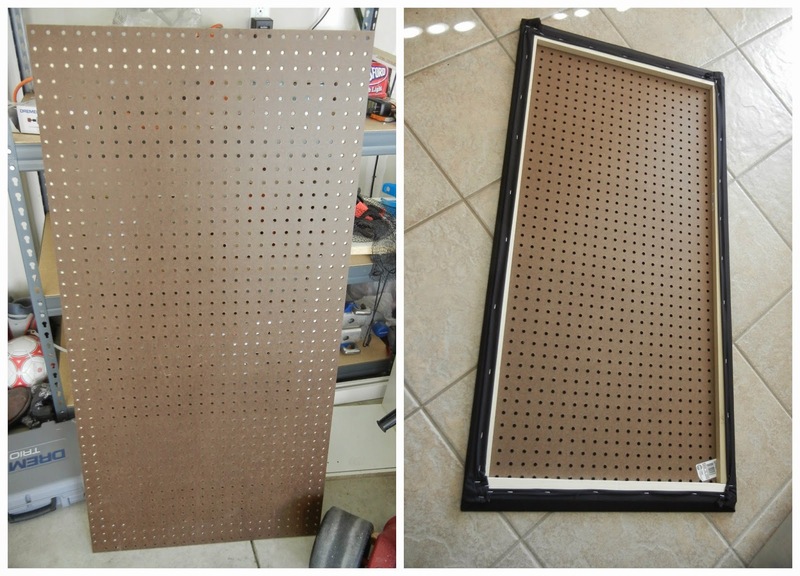 Front and back of pegboard with the wood attached at the back. Ignore where the black fabric is. It should be stapled across the back to keep light from coming through. Something to keep in mind: If you're pegboard is going to have any light coming from the back, like how mine is leaned against a window, then you might want to consider covering the back so that the light doesn't shine through. I would highly recommend doing that so the light doesn't get in the way of customers viewing your board. (I forgot to do it before the show.) To make it easier to attach something without getting in the way of your peg hooks, you can add wood to the backside of the pegboard using wood glue and clamps then use a staple gun to attach something, like fabric. Overall, the pegboard worked perfectly to hold product and draw people in, however, I did find that this didn't encourage customers to sort through the different styles. 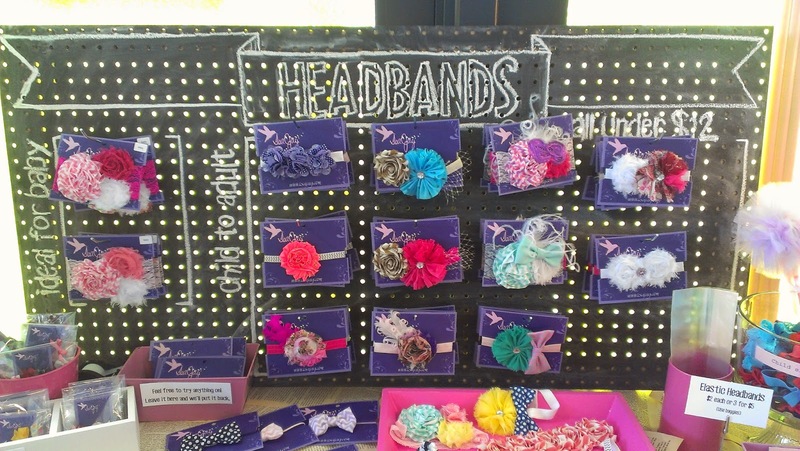 To help with that, I also laid out a lot of different headbands on the table, like I have in the past, so that customers can look through and feel like they can try things on. This could just have been the show though since each one is different. 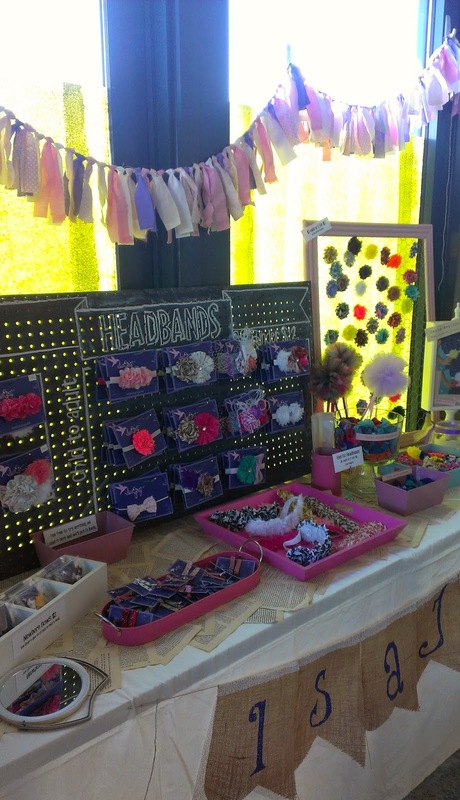 Do you use a pegboard for displays? How do you like it? Let me know in the comments.